Home > The Liar Princess and the Blind Prince > The Liar Princess and the Blind Prince will be making its way West in 2019! 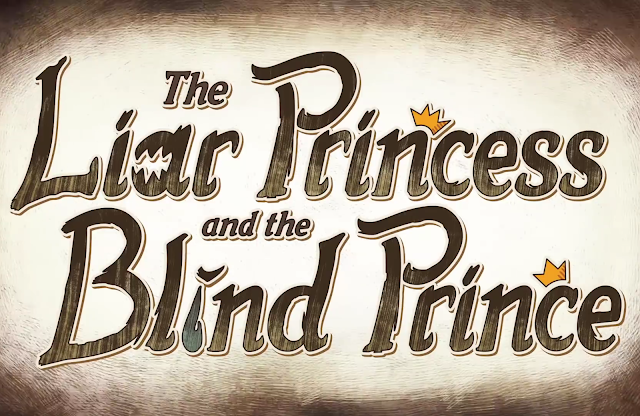 The Liar Princess and the Blind Prince will be making its way West in 2019! When I last wrote about The Liar Princess and the Blind Prince (way back in February! ), I knew it was only a matter of time until the game was announced for the West. And the time is nigh! The smart people over at NIS America also knows a great-looking game when they see one, as the publisher has announced it will be bringing Nippon Ichi's new fairy tale of lonely hearts to North America and Europe in 2019. In the game, the two titled lonely folk are brought together through a mutual misunderstanding. As a wolf disguised as a princess (that liar! ), you help the blind prince find his way through a forest. At the other end of the woods lived a witch who can restore the prince’s eyesight, and the sightless prince is left in the will of the wolf-princess. The way is wrought with dangerous creatures and hazardous traps. The princess must lie in order to be with the prince, but is that before of her true form? Or is something more sinister at hand? As the player in The Liar Princess and the Blind Prince, you’re able to switch between the wolf and princess forms. The wolf can be strong and vicious, but the princess is quick-witted and often a necessity. As you collect pages from the Forgotten Tale (which you are in), a fragment of memory will be shared between the wolf and the prince. The game is already available for as a limited edition pre-order at NIS America's store. This edition includes a physical copy of the game, a soundtrack, a fairy tale book, and a collector's box. You can find the Switch version here and the PS4 version here. For those who like to collect it all, an acrylic stand is also available, as is the simultaneously sweetest and creepiest wolf plush ever. The Liar Princess and the Blind Prince will be available on the Nintendo Switch and PlayStation 4, and we’ll be sure to keep everyone updated as we get more information about the title!